The Windy City stands as one of the most family-friendly cities in the Midwest, if not the nation. Whether your agenda includes seeking cultural attractions, visiting iconic treasures, sampling delicious eats, or simply relaxing, Chicago has it all! The tough part of the trip will be deciding what to do! 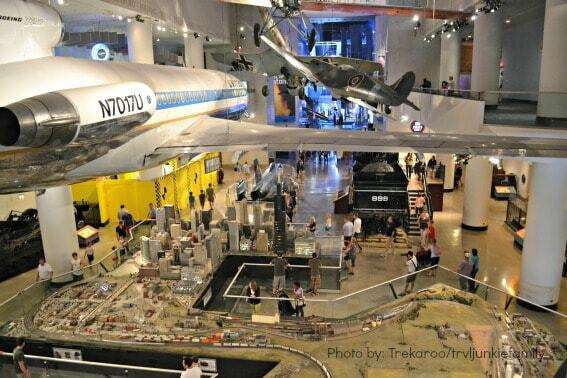 Read on for the 10 top things to do in Chicago with your family. With over 70 different neighborhoods in Chicago, take the time to explore the heart of what makes Chicago – the people and their different cultures. 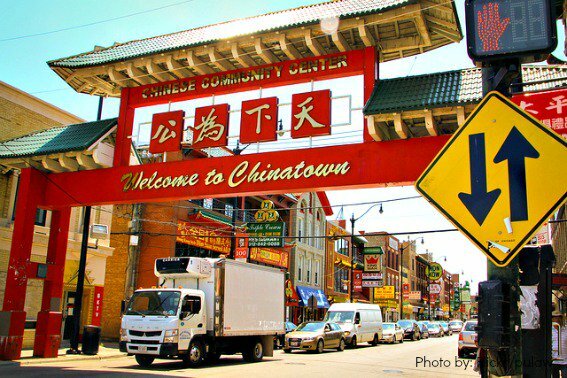 Make sure to stop by Chinatown, one of the largest Chinatowns in the country. 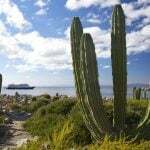 Sample traditional or exotic dishes and baked goods along the six-block stretch or find an unique souvenir or gift. After shopping and eating, play around at Ping Tom Memorial Park located by the Chicago River, where you’re able to watch the drawbridge occasionally rise up to let boaters through. The park also hosts many outdoor events, in particular the fun Dragon Boat Races held during the summer. 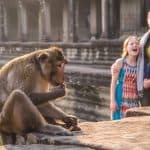 Want to visit more “countries”? Get ready to hear shouts of “Opa!” at any Greektown restaurant, or check out the newer National Hellenic Museum. 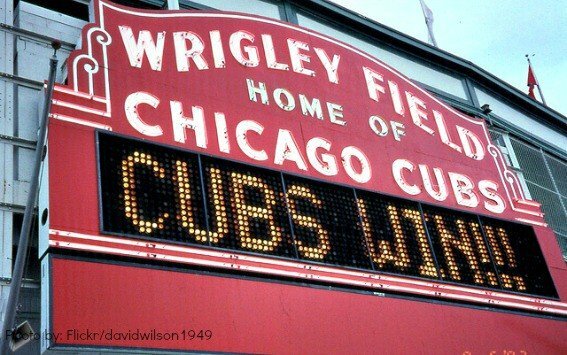 Chicago Cubs fans have waited over 100 years to see a World Series Championship. Although the outlook hasn’t looked so positive recently, die-hard Cubbie fans flock to the beloved Wrigley Field. While experiencing a game at the Friendly Confines is essential, check out a tour for a chance to see what really happens behind the scenes. 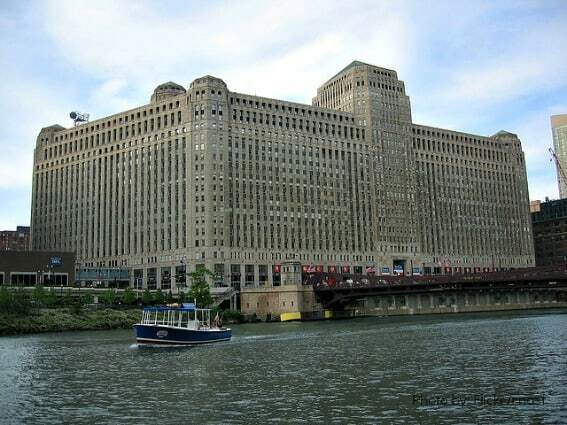 The city of Chicago is famous for its architectural wonders, and in order to learn and appreciate it to the fullest, it’s best to take an architectural tour. These tours range from walking tours to bike tours to Segway tours, but none have been praised more than the architectural boat tours, including Chicago’s First Lady, Wendella, Odyssey, and Shoreline. Cruising down the Chicago River on one of these boat tours may be informative and interesting, but the highlight for the kids will no doubt be being on the boat! Those brave enough to step out 4.3 feet onto the Ledge at the Willis Tower (or Sears Tower as it’s known to the locals) and look down the glass through 1,350 feet, will be astonished at the view from up above. 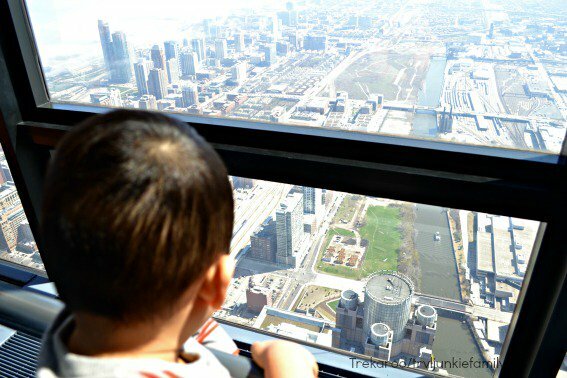 Want more ways to view Chicago from way up high? Head to the John Hancock Observatory where you’ll also have excellent views of the Magnificent Mile and the lakefront. 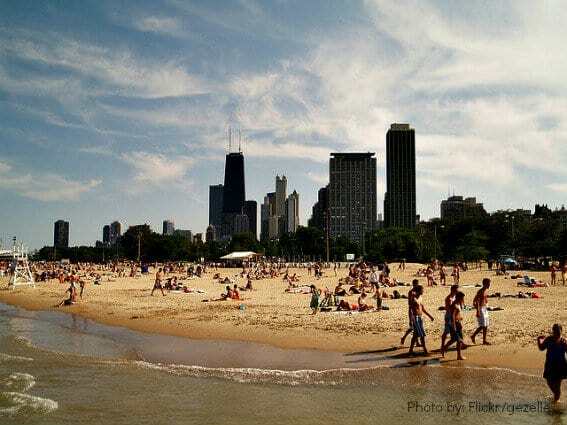 During the warmer months, Chicagoans flock to the 16 miles of sandy beaches open to the public for free. Family fun is waiting at the 31st Street Beach with a new harbor and a park, along with amazing views of the Chicago skyline. Kids can go splash-crazy at the 63rd Street Beach with its interactive spray-ground. Some other noteworthy family beaches include Foster Avenue Beach, Oak Street Beach, and Montrose Beach. Chicago has a host of world-class museums and three happen to be located conveniently in Chicago’s Museum Campus. 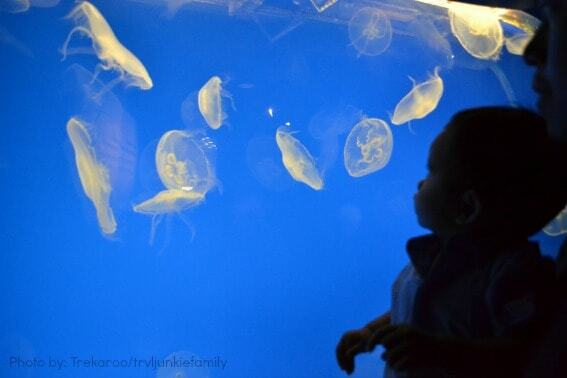 Don’t miss the dolphin shows or the Jellies exhibit at the Shedd Aquarium. Be amazed by the natural history museum and meet Sue, the largest and most complete T-Rex at The Field Museum. Science and astronomy buffs will love gazing at the stars at Adler Planetarium. It’s easy to see why families visit the iconic Navy Pier each year – there’s a ton to do! 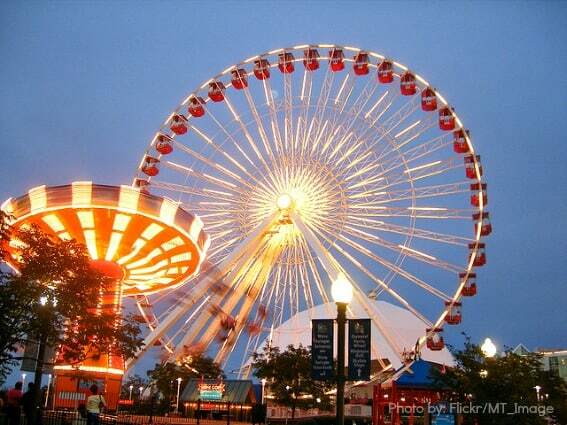 How about a spin on the 150-foot Ferris wheel, giving you magnificent views of the Chicago skyline? 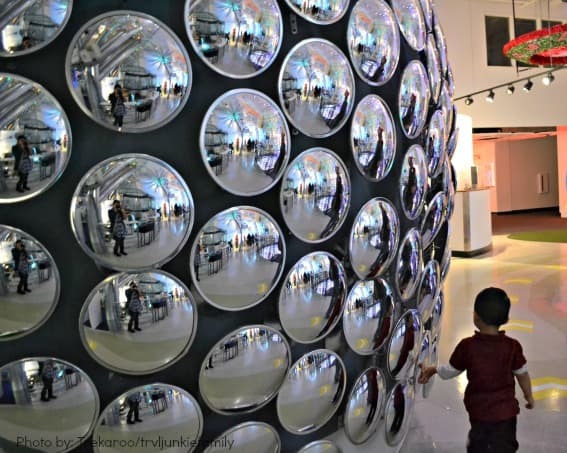 If you have young kids, a must see is the Chicago Children’s Museum for hands-on fun. If the weather’s nice, take a sightseeing cruise on Lake Michigan. If you’ve timed it right, stay for the amazing fireworks show or attend one of the many free, family-friendly events. Millenium Park, an oasis in the middle of downtown, is a year-round destination. In the winter, skate along the bean at McCormick Tribune Ice Rink. Summertime means taking out the bathing suits and splashing around at the Crown Fountain. 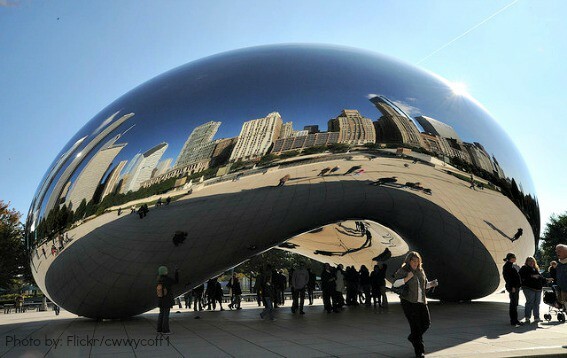 Plus, who can’t resist taking a picture of “Cloud Gate” (otherwise known as “the Bean”)? See lions, tigers, bears, and a baby gorilla in the heart of Chicago at the Lincoln Park Zoo, one of the nation’s last remaining free zoos. 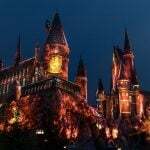 With daily activities and events, every visit will be a new experience. If you have energy left, walk over to the Nature Boardwalk for awesome views of the Chicago skyline. 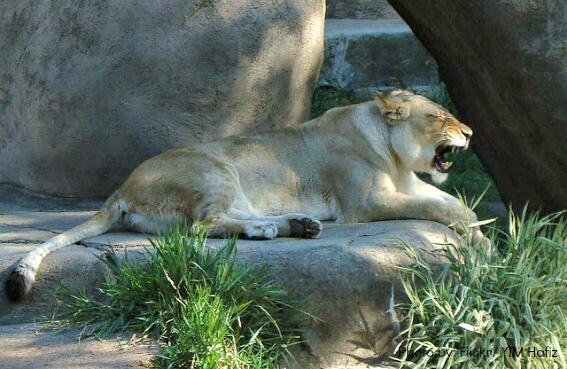 If you don’t mind venturing out of the city, head to the Brookfield Zoo for more animals. Read about more free things to do in Chicago. A visit to the largest science museum in the western hemisphere, the Museum of Science and Industry, never disappoints! With trains, planes, automobiles, and tons of hands-on science exhibits, there is enough to keep a family occupied for hours. The highlight here (well, according to my son) is the huge model train exhibit. There’s so much to explore that you may need at least two days to see everything! A visit to Chicago is not complete unless you’ve tried one of Chicago’s beloved culinary delights, a hearty deep-dish pizza. 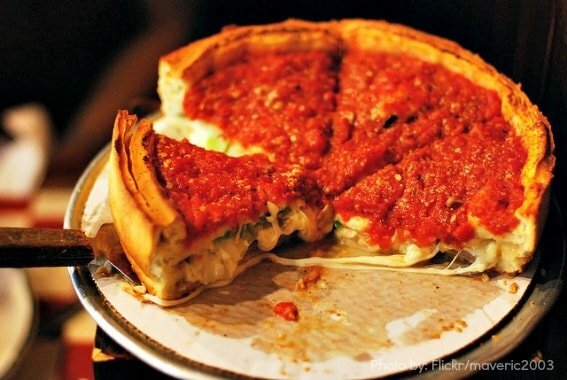 There’s a huge debate going on for the best deep-dish pizza in Chicago – Lou Malnati’s, Gino’s East, Pizzeria Uno, or Giordano’s. My advice? Try them all and decide for yourself! While in Chicago, don’t miss out on a Chicago tradition, the Chicago-style hot dog, a hot dog with sweet relish, onion, mustard, and (gasp!) no ketchup. Try it at any hot dog stand, Hot Doug’s, Superdawg, or Portillo’s Hot Dog. For a tasty treat, check out Garrett’s Popcorn’s and try the Chicago Mix (a mix of caramel and cheese) that is truly addicting. Omni Chicago Hotel: Located right by the Magnificent Mile, the gorgeous Omni Chicago Hotel strives to make every guest feel welcome, especially their youngest visitors. Their signature “Sensational Kids” backpacks are filled with all sorts of fun goodies to make them feel extra special. Swissotel Chicago: It’s fun to be a kid at the triangular luxury hotel located right by the river where the hotel tries really hard to woo the youngest visitor. With concepts such as Kids Room Concept and “VIK” (Very Important Kids), kids suites include enhancements that can range from a specifically designed bed or a large range of entertainment to help make it a kid’s paradise! A quick cab ride or a short walk will bring you to the Magnificent Mile. The James Hotel Chicago: This boutique hotel located in the heart of downtown gets rave reviews with their Lil’ James kids program. Lil’ guests are greeted with a James Chicago welcome backpack filled with an activity crate from Kiwi Crate, containing hands-on fun through arts, crafts, and science kits. Kids have no reason to ever be bored since all rooms feature DVDs and kid-friendly movie selections. The fun doesn’t stop there! For outdoor fun, the James Chicago features adorable Paul Frank bikes and helmets for kids. 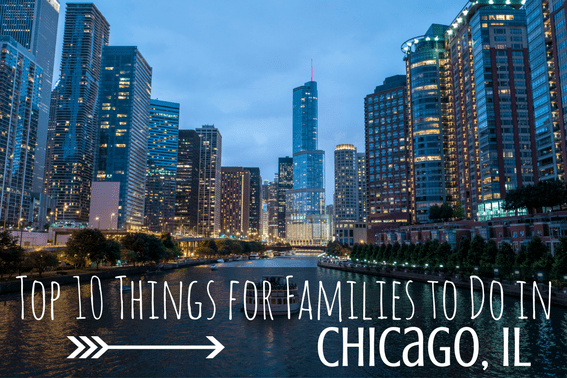 Read reviews of family-friendly lodging in Chicago on Trekaroo. To escape the city and be one with nature, nothing would be more fitting than a trip to Starved Rock in Utica, Illinois. 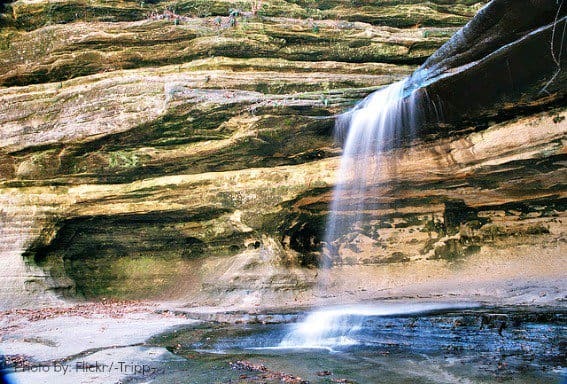 You’ll be surprised to find canyons, waterfalls, and trails just an hour and a half from Chicago. 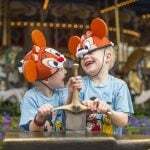 Grizzly Jack’s Grand Bear Lodge caters especially to kids with a waterpark and kids activities. A stay at the historic Starved Rock Lodge is a treat in itself whether you are marvelling at the Lodge’s architecture or relaxing at the pools or spa. Looking for more kid-friendly fun in Illinois? Check out our top ten things for families to do in Illinois! The small town gem of Kenosha, Wisconsin has been known as a shopping mecca with its shopping outlets, but many don’t realize how family friendly this town is. 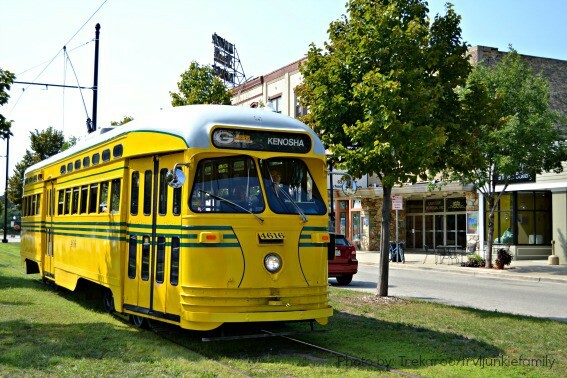 By way of a vintage streetcar, museum hop to the Civil War Museum, the Kenosha Public Museum, and the Dinosaur Discovery Museum. Take a break by grabbing lunch at Trolley Dogs, or indulge in ice cream and enjoy by the lake. Have a sweet tooth? Stop by the Jelly Belly Factory for samples and a tour on a train. 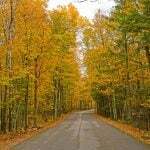 Check out more family-friendly fun in Kenosha,Wisconsin. Head an hour north of Chicago to Wisconsin to find another city located right by Lake Michigan – Milwaukee. Although nicknamed, “The Brew State,” this friendly city offers tons for families to do including fun museums like Discovery World and the Betty Brinn’s Children’s Museum. Young and old Harley lovers will go ga-ga for the fun Harley-Davidson Museum showcasing over 450 bikes and artifacts. For a taste of Milwaukee (and Wisconsin for that matter) check out the Milwaukee Public Market for different regional foods.